We invite You to take a look at the world through the eyes of Nikolay Polyushenko, an honoured artist of Russia, Member of artists' commonwealth of Russia and the International Association of Arts AIAP UNESCO. 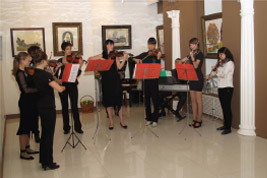 This world is made of material evocation and interlacing reflected in art works of different genres, styles and techniques. The world which inspires and makes our lives brighter. Our art collection consists from authentic pieces of art, performed in techniques of aquarelle, print, drawing and still life. 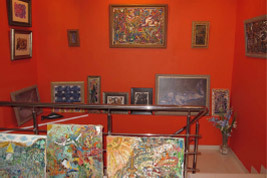 Except author works, replicas, art books, post cards, calendars, plaques and catalogues are represented in the Gallery. An integral part of Gallery's activity is giving art works as a gift to universities, theatres, children's homes, hospitals and libraries. 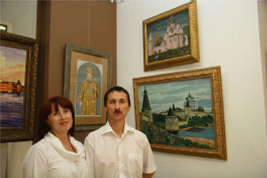 Proposed collection of Nikolay Polyushenko's art works is available for buying not only through store or auction on our web-page but also directly in NNN Gallery, located in culture-historical center of Rostov-on-Don by the address: 344002, Russia, Rostov-on-Don, Pushkinskaya str., 83. If You are interested in holding on an exhibition of Nikolay Polyushenko's art works, we are ready to do our best to make it happen.